With years of experience, we are engaged in manufacturing and supplying an extensive range of Packaging Material. These material are made under the supervision of our highly skilled and experienced team members, who keep an eye on all the ongoing production processes. 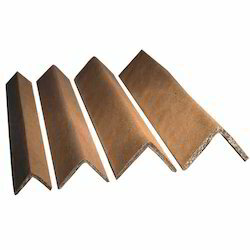 We offer premier quality Edge Board, which it ideal material for over-sealed shipment by sea and for wet climates. These boards are manufactured using Polyolefin material that is reinforced with cellulose. 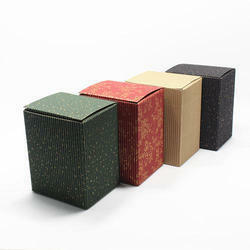 We are offering a wide range of Colored Packing Box that is widely appreciated by the clients for high quality standards. These are appreciated by the clients for excellent printing and matt-finish lamination. 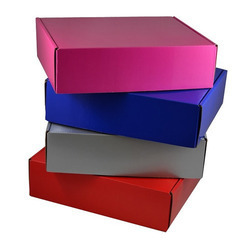 Our range of Colored Packing Box has excellent aesthetic and functional properties which make it an ideal and cost effective. 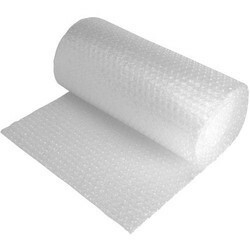 Bubble Rolls are manufactured using premium quality materials that are commonly used in various sectors for packing purposes. These are highly demanded because of their protection from shock, abrasion and vibration. We are one of the most manufacturers and exporters of an extensive gamut of Multi Color Packaging Boxes made of high quality material. These products are offered by us in various shapes, styles and sizes.we offer Multi Color Packaging Boxes as per client requirement.